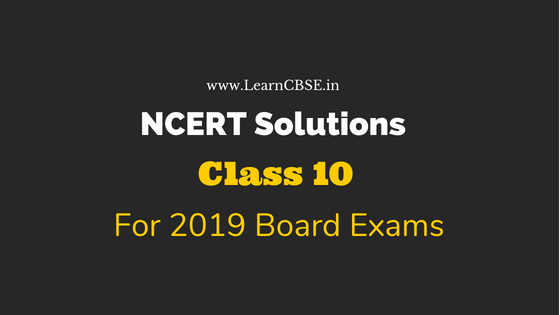 Here we have provided Updated NCERT Solutions for Class 10 for 2019 CBSE Board Exams. NCERT Solutions clear your concepts to the core ensuring to stay with you in the long run. These are created by experts in accordance with the CBSE curriculum. You can find 100% accurate step-by-step solutions for every question in all the latest NCERT books. Practice with these daily to perform better in boards.